We understand the demanding requirements of your business and that downtime means lost time and money. That is why we only carry high quality construction tires from major brands that have been serving the construction industry for years. High quality tires alone won’t keep your equipment moving, you need tire service experts who understand the special requirements of today’s construction equipment. We have TIA certified technicians equipped with the right tools and equipment to service any size tire. 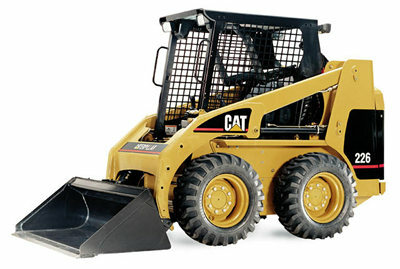 Skid Steer Tires, Loader Tires, Grader Tires, Backhoe Tires, Dump Truck Tires and more. Pete’s Tire Barns has all the construction tires you need. We have 19 locations to service all of your construction tire needs. Call your local Pete’s Tire Barns today and schedule a visit from one of our construction tire experts.